Today, The Bear and I flew to "breakfast" at The Silver Wing in St Mary's, PA with our friends Stacey and Devon (photo by Stacey). This was The Bear's first flight of 2011. 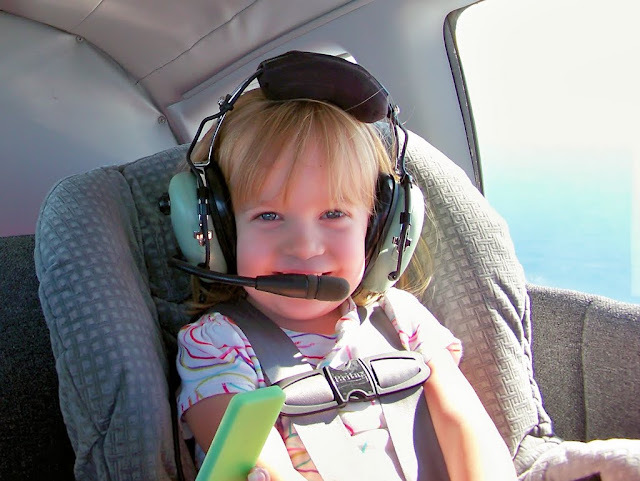 Updating her logbook, I found that she has accumulated 120.8 hours in N21481 since birth. 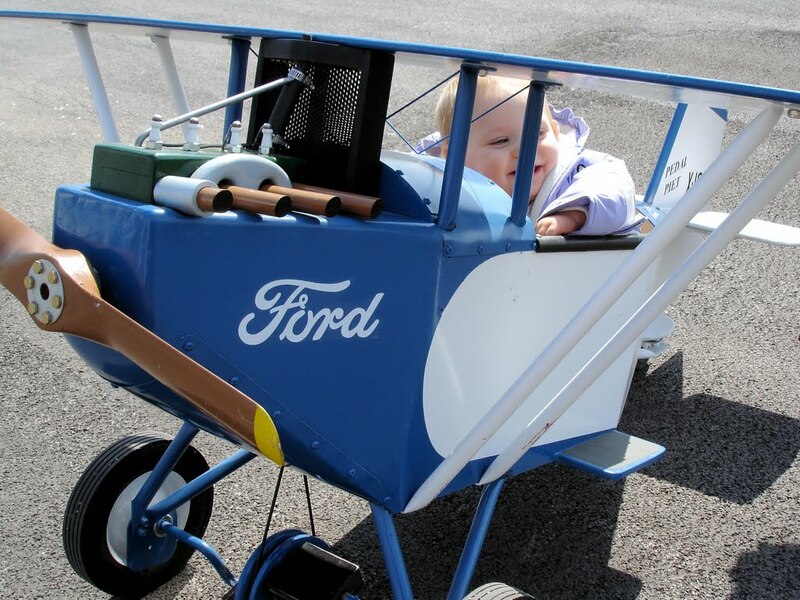 This caused me to reflect back on some of her aeronautical milestones over the past (not quite) four years. 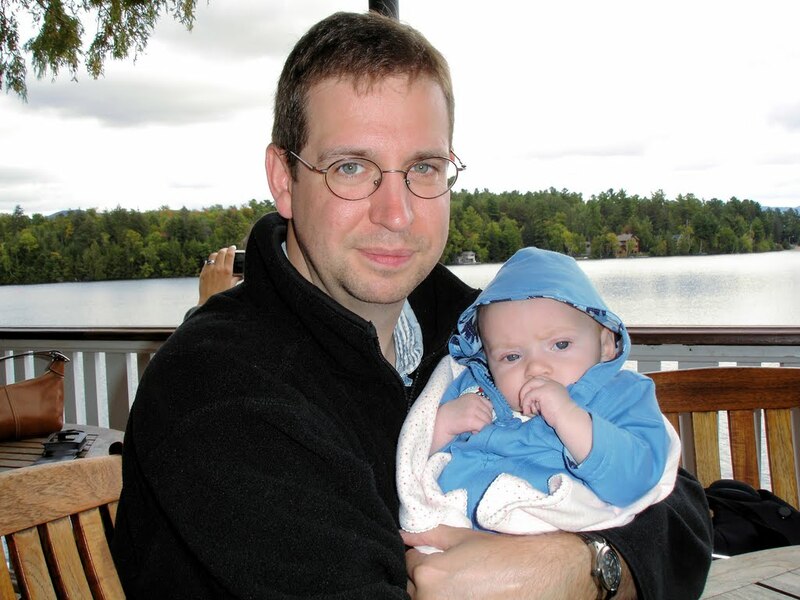 July 29, 2007: First flight at five weeks old (photo by Kristy). It was a short ride for The Flying Bear, only a 0.1 hour hop around the pattern. Before landing, she fell asleep. August 31, 2007: First cross-country flight from home base, across Canada, to Kalamazoo, MI (AZO), logging 8.2 hours in the round trip ("The Flying Bear"). Photo by Kristy. September 16, 2007: First $100 hamburger trip. We ate at The Cottage on Mirror Lake in Lake Placid, NY. Not bad for a first $100 hamburger, eh? This trip was also noteworthy as The Bear's first high altitude diaper change, with no small tip of the hat to Kristy for pulling that off (pun intended) in the back seat of the Warrior ("A Placid Journey"). Photo by Kristy. February 16, 2008: The Bear flew to Lock Haven, PA and set a personal record for undisturbed slumber. 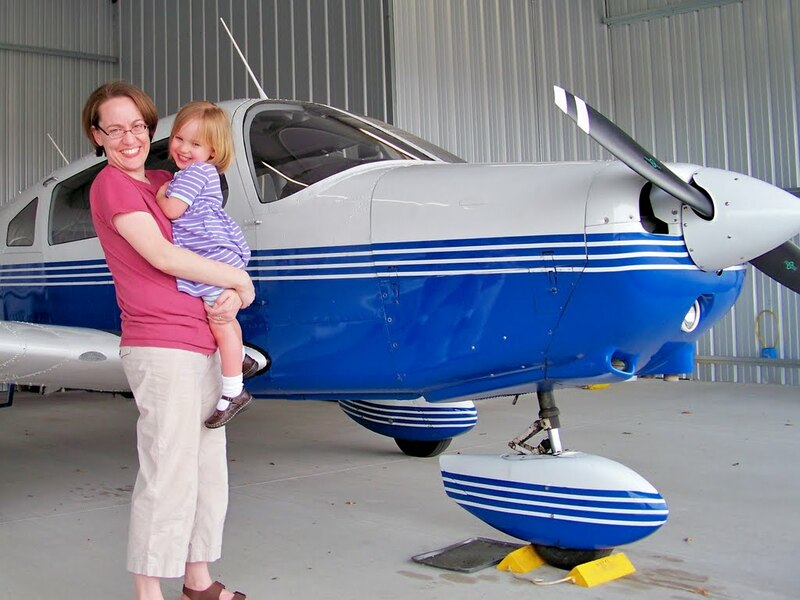 She fell asleep en route, remained asleep through landing, loading up into the crew car, breakfast at Fox's Market House, and the ride back to the airport. 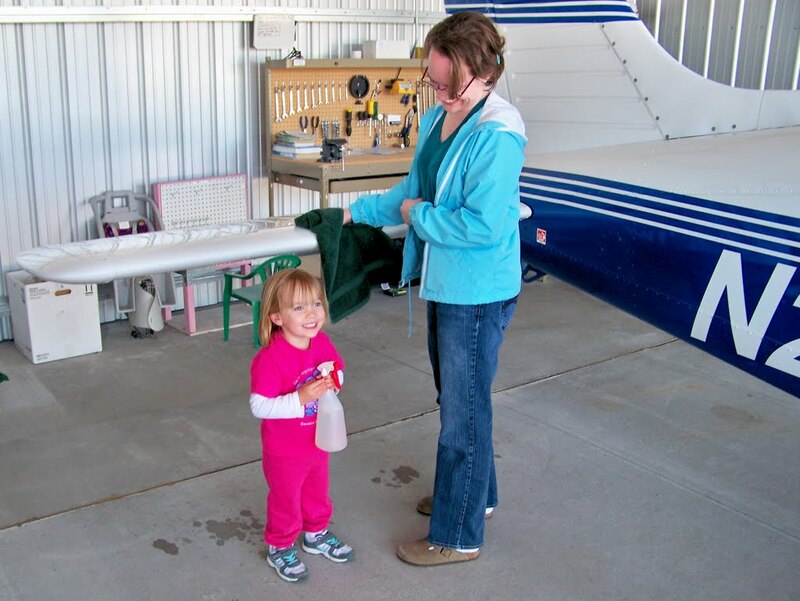 May 11, 2008: First Fly-In breakfast at the Oswego County Airport in Fulton, NY ("Spring Has Sprung"). September 19, 2008: Taken just after an in-flight dinner at 8500' somewhere over Ontario. An hour later, The Bear would experience her first (and only to date) night landing at Oakland County International in Waterford, MI ("Homeward Bound"). Photo by Kristy. April 17-18, 2009: First long cross country flight south to Knoxville, TN to meet her grandparents ("Knoxville...Deferred"), a 10.0 hour round trip. 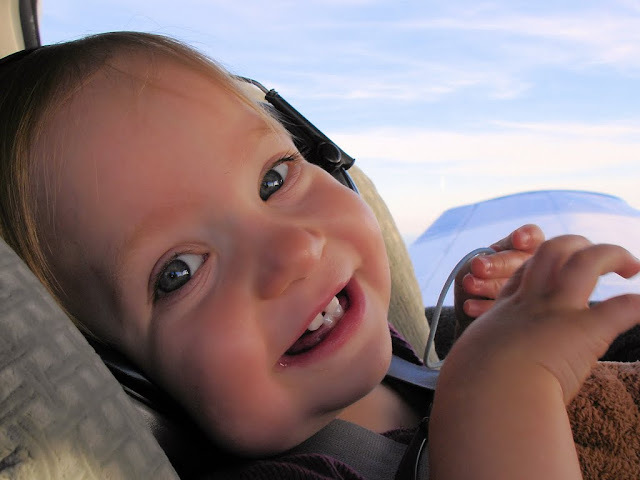 April 2, 2010: First flight without a diaper. This one was a quick local area flight, but dry and therefore momentous. 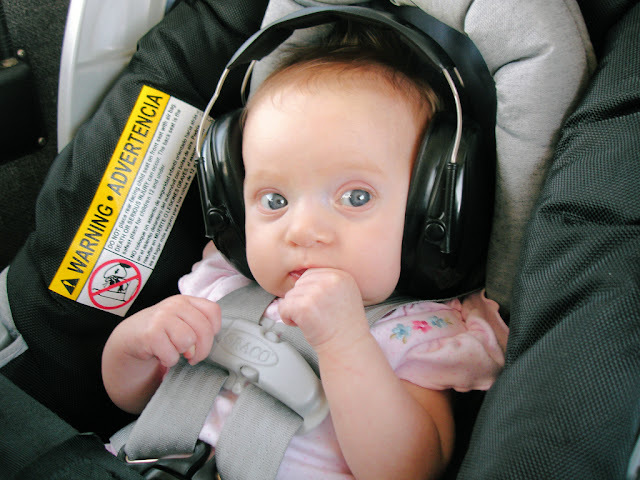 August 28, 2010: On The Bear's return trip to Knoxville, she replaced her trusty Peltor Junior hearing protectors with a "big girl" headset. For the first time, she could hear us, we could hear her, and a new realm of entertainment opportunities was opened ("I Hear Daddy! Hi, Daddy!"). April 30, 2011 - Today: First flight with a friend and first flight without Kristy catering to her every capricious whim (photo by Stacey). After The Bear's triumphant return to Le Roy, my buddy Matt shook his head and commented, "you know she's going to grow up to be a fighter pilot, right?" I suppose there are worse things. I, for one, am looking forward to this year's adventures!